Let me draw you a one-strip comic, sign your copy of Dork Toes, sell you some merch or thumbs-up your cosplay at FACTS Gent! I’ll have a table in the Artist’s Village. 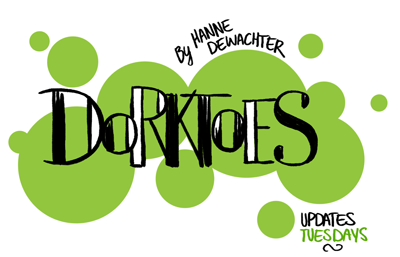 Dork Toes Book III will be out by then, so make sure to get your fresh-off-the-presses copy with me!